A bipartisan podcast on energy and environmental politics in America. Presented by the USC Schwarzenegger Institute and the Leonardo DiCaprio Foundation. 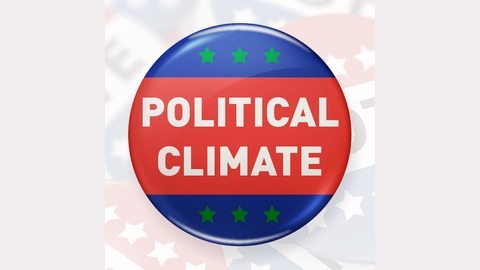 Political Climate goes beyond the echo chambers to bring you civil conversations, fierce debates and insider perspectives, with hosts and guests from across the political spectrum. Join Democrat and Republican energy experts Brandon Hurlbut and Shane Skelton, along with Greentech Media's Julia Pyper, as we explore how energy and environment policies get made. The former California governor and global environmental leader has been tackling the related issues of climate change and pollution for years by working across the political aisle. In this episode (13:30), Schwarzenegger explains why he still believes in working with people of all political stripes. The show kicks off with a look at recent headlines, including the clash between former Secretary of State John Kerry and Rep. Thomas Massie over climate science. Plus, Democratic Senators introduce a carbon pricing bill. We ask: is this an effective political strategy? 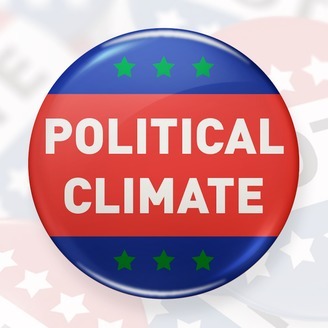 Subscribe to the Political Climate podcast via Apple Podcasts, Spotify, Stitcher, GooglePlay and Overcast.